There are many venues for paintballing in the South West but they are not all of the same standard. We pride ourselves on running the premier venues for paintball South West and with our 100% safety record you know your in for a great day whichever site your decide to visit. 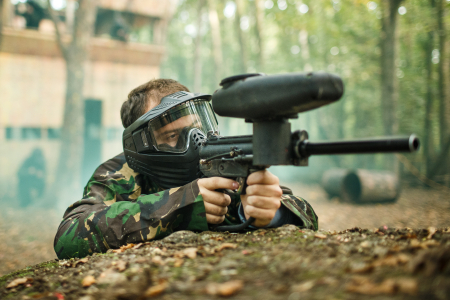 Our sites in Dorchester, Torquay, Exeter and Bristol all have the latest in paintball guns and equipment to ensure your visit is hassle free and enjoyable for all. The sites all have great links for car and public transportation to make it easy to travel from any area in the South West. Don't settle for anything less than a brilliant day out!